Enter For A Chance To Win Pass To See BEAUTIFUL BOY on October 15th at 7:00 PM in PHOENIX. BEAUTIFUL BOY is a deeply moving portrait of a family’s unwavering love and commitment to each other in the face of their son’s addiction and his attempts at recovery. The cast included Steve Carell and Timothée Chalamet, Maura Tierney and Amy Ryan. 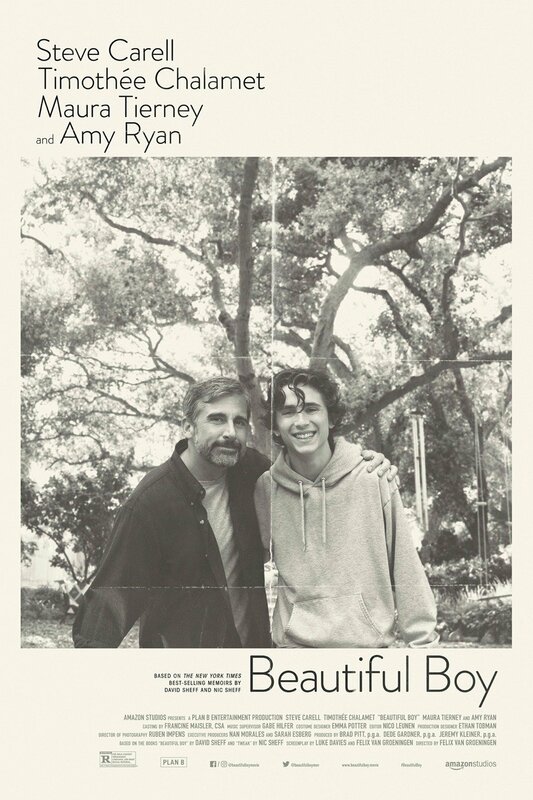 Based on two memoirs, one from acclaimed journalist David Sheff and one from his son, Nic Sheff. As Nic repeatedly relapses, the Sheffs are faced with the harsh reality that addiction is a disease that does not discriminate and can hit any family at any time.